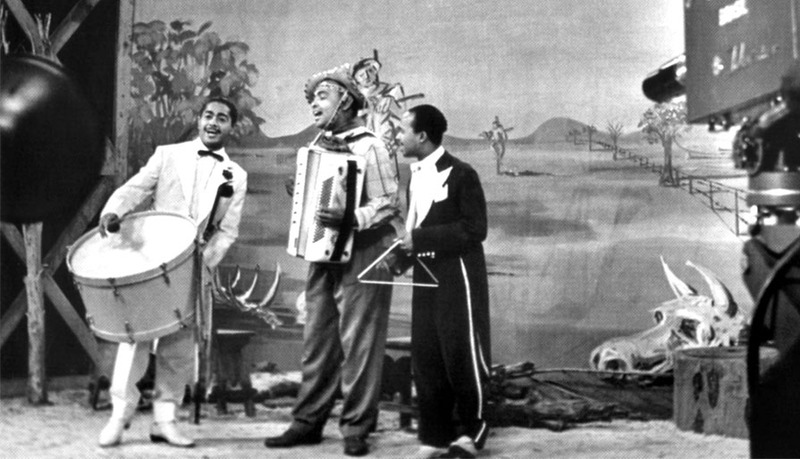 Luiz Gonzaga (center) recording in a traditional forró ensemble – zabumba (L), sanfona (accordion), and triangle. Today (December 13) was Luiz Gonzaga’s birthday. As this post explains, Gonzaga — born December 13, 1912 — was responsible for popularizing forró nationwide at a time when northeasterners and their traditions suffered severe discrimination in cities like Rio de Janeiro and São Paulo. His birthday is now National Forró Day in Brazil. Luiz Gonzaga was known as “Rei do Baião.” He practically invented the genre, a sub-genre of forró. “Pagode russo” was recorded on the 1984 LP Danado de Bom; a number of artists have since recorded the song, including Zeca Baleiro, in 1999. The song is a traditional quadrilha, a square-dance style popular in the northeast, especially during June’s São João (St. John) festivities. Frevo is a dance style that emerged in Recife, Pernambuco, in the late 19th century, a mix of marcha, maxixe and Capoeira, and involves lots of jittery up-and-down, back-and-forth movements. 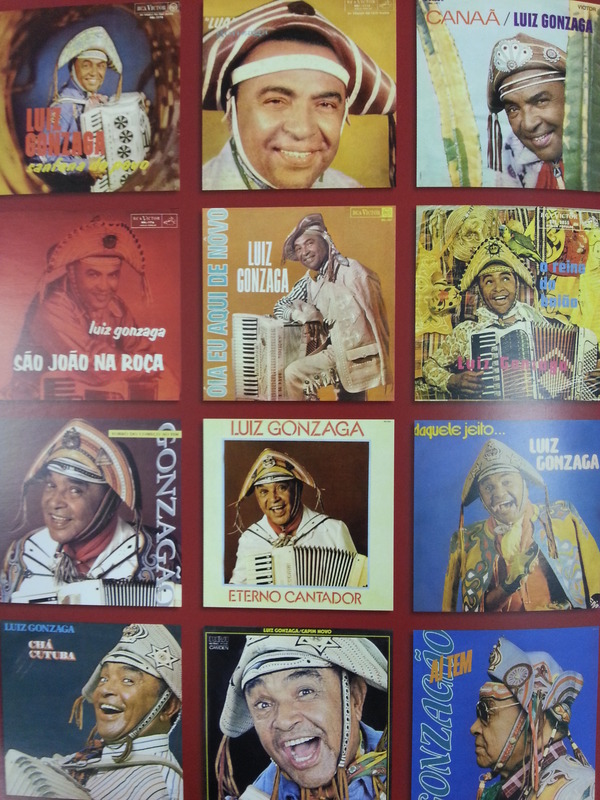 Luiz Gonzaga was from Pernambuco, and in this song, he brings up the similarities between these northeastern genres. While the term pagode most often refers to a samba sub-genre these days, over the course of the 20th century – and still today, to a certain extent – it has also been used to refer generically to a party or dance. Excellent song! I love this website (discovered it today). I’m making a CD of Brazilian music as a christmas gift for my friend who wants to learn portuguese. Is it okay if I print out your lyrical translation and explanation for him to read over? Thanks so muchh!! !